We do our best to keep bedrooms and playrooms organized in our house, but toy organization is one of those things it seems can always be improved upon. Here are 13 fresh ways I’ve found to cut the mess and create some calm. Legos are a big deal in our house. A. Huge. Deal. As we’ve grown up a bit, we’ve learned how to store new sets, but our first few years of Lego building included very little organization. Those poor sets have all been clumped together in storage bins that take up a lot of closet space. If you have similar Lego woes or problems with other loose toys, this Lay-n-go activity mat is a perfect solution. It really is as easy as just cinching the bag and moving on. Find your mat here. Wrangle up the balls and sports equipment with a ball corral. The open top makes clean up as easy as just dropping balls in. Even the littlest cowboys can handle that round up! Use a shoe pocket organizer to store all your craft supplies. No more storage boxes being left out with this idea! Kids can easily slip their craft supplies back into the pockets without any fuss. Organizing rooms with storage shelving can be worth the investment for the right room. I especially like how shelving units can be so multi-functional from displaying books, showcasing decor, and, or course, storing toys and other items. Wooden crates are so versatile in purpose. 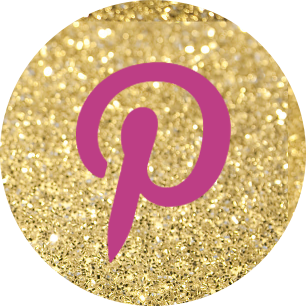 There are so many wonderful ideas for how to utilize them in any room in any home. Here, the crate has been painted to match the child’s room and mounted as a book shelf. How clever to cut the great crate in half to fit in those tighter corners! For a quick and easy way to store all our furry, plush friends, consider toy hammocks to hang in bedroom corners. Amazon has a large selection to choose from. Give a new meaning to storing toys under the bed! Make proper use of this perfectly good storage space by playing a little Hide-and-Seek with a rolling hide-away table. The kids will be happy they don’t have to ruin their architectural masterpiece on the table and you’ll appreciate that loose pieces have a happy home in the drawers. A win-win! Read more here. Here’s another storage idea using wooden crates in areas with more space. I love the stacked look! Changing out baskets to match room or seasonal decor would also be a fun option. Crate minds really do think alike! Idea from Futuristic Architecture. If wall hammocks aren’t the right stuffed animal solution for you, give garden baskets a try. They can be purchased at most home improvement and gardening stores. I think a garden party is in order after this brilliant idea! 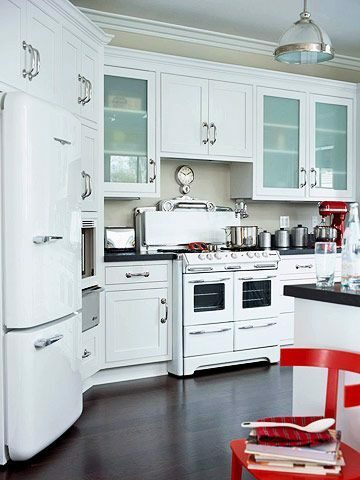 Find more info from Bob Vila. 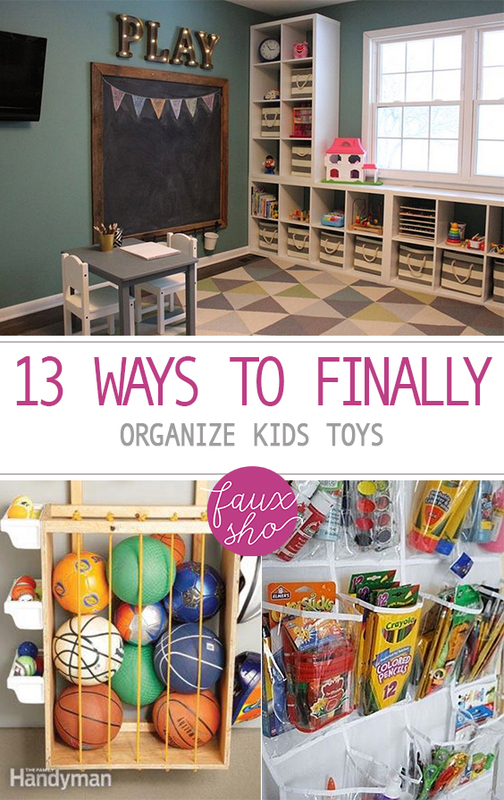 No need to become a basket case with messy toys when it comes to this storage idea! Mount layered hooks on a wall and hang decorative baskets to keep all those loose toys organzied and coralled. Source. 11. Two Can Play At That Game! Give board games a run for their money with this game organization idea. 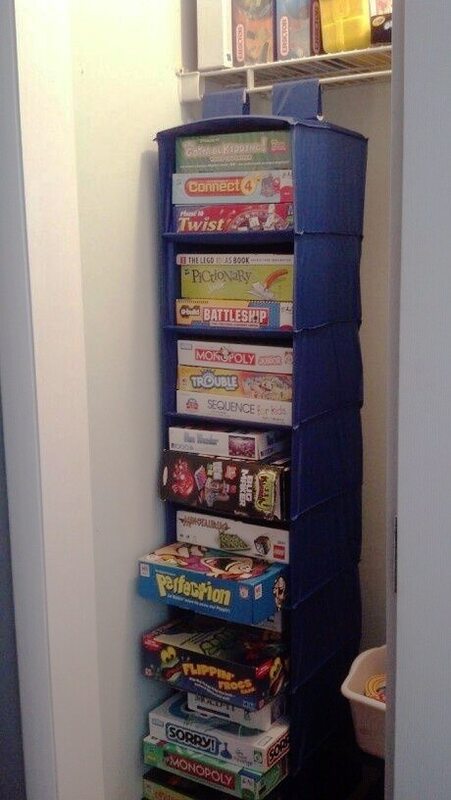 Use a hanging closet shelf to store game boxes. Kids will have easy access to the boxes, and the shelves will help prevent spills and missing pieces. I’d say you’re the winner of that game! Coupons.com shares more here. This might be the only time you’ll actually want to drive yourself up the wall! Store toy cards or other small toy sets (Hello Lego Minifigures!) in their very own parking garage. Simply fill a wooden crate with paper rolls and you’ll be revving to go! Five honks for this idea from Foliver! Put your foot down to the mess with this ottoman storage idea. What a great way to hide the toys while also keeping them close by for play time! After putting your foot down on the mess, you can put your feet up on the ottoman. Remodelaholic shares the idea here. Scrub A Dub! Here’s How to Refinish Your Tub! Really good ideas ? ? ?